Love it heresubmitted by Sue B. - Jul 19, 2018 |Recommended: YesIt would be helpful if residents parked at their apartments, NOT in guest parking. I am in building 12 -- there are never guest parking site available for guests because residents will not park in their designated parking spots at their apartments. It would be very nice if there were times at the swimming pool that it was adult time . I have not been able to invite adults to the pool and do not enjoy it myself when it is full of unsupervised children -- lots of horseplay, very loud, just not good for an adult crowd. Many of the residents are feeling the same way, that the pool is being abused by residents who bring not only their own family but their family's children friends. Maybe some designated times for children would help My air conditioner runs non-stop because of the east window -- maybe these windows need to be replaced with better insulated ones Or maybe some black out curtains would help, I don't know. Just seems that the insulation is not good in that bedroom on the east, the morning sun heats it and it never cools down. Great Propertysubmitted by Takiya R. - May 22, 2018 |Recommended: YesI've been living at this property for a little over 6 months. Prior to moving here from out of state, I did not come to observe the property, I strictly went off of reviews and research. I chose Belton due to the school ratings compared to surrounding cities. I narrowed my search down to this property and a property around the corner from this property. 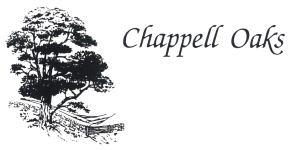 After thoroughly comparing reviews, Chappell Oaks was my first choice. Unfortunately, after calling them several times prior to my arrival, they were full. which was good and bad, of course. Finally, after a random phone call one day to check again, I hit the jack pot. The process was not stressful at all- I worked primarily with Leslie who was promoted and now works at a different property and she was AWESOME. I also had some encounters with Dianna, whom was also AWESOME. They were both professional and answered all my questions. Although moving was stressful in itself, they assisted in making the transition here as smooth as possible. The property is always kept nice and clean, it's very quiet here as well. The neighbors are very pleasant. I have an 8 year old child, however, there are not a lot of children here at all, which I'm sure can be a good thing for some people lol. Parking for me is not a problem at all because I have a garage, but, in regards to having visitors, spaces are limited to none b c some people who have garages still park in the available spaces and or have multiple cars and utilize open unassigned spaces. Now, I'm not sure if this happens around other buildings, but at least around mine, but, there's always parking up front near the office, which may be inconvenient for visitors. Maintenance is great. Every time I've had a problem, my issues have been promptly addressed and resolved. Doug is very professional and pleasant. Noise level is no big deal, sometimes I can hear my neighbors music not lately and the dump truck at Sonic, but it's okay. The layout of the apartment is spacious, however, the living room is a little different than what I expected. Its not as wide as it is long. The second bedroom of the apartment gets very hot, or very cold I guess depending on what side of the property your located on depending on the season. Overall, I rate the Community a 5. It's a gated community, which is a plus, I've had no issues problems, we feel safe here, office staff are pleasant and professional, other residents have been welcoming, great property, and we've been satisfied thus far. -T.R. It's been a wonderful place to live.submitted by Kristen R. - Jul 14, 2017 |Recommended: YesChappell Oaks has been an amazing place for us. This is our first time renting I must say we are very happy here. Neighbors are quiet, grounds are beautiful, simply put the staff is amazing. Beautiful Communitysubmitted by Jodie C. - Feb 27, 2017 |Recommended: YesLoved living here. Office staff and maintenance are awesome Location is convenient to shopping and entertainment. Grounds are very well kept and location is quiet. Highly recommend to anyone looking for luxury with a peaceful small town feel. response from property - Feb 28, 2017 Thank you so much for your review... we wish you the best!! Peaceful, tree-filled community so fortunate to live here.submitted by Sylvia W. - Dec 22, 2015 |Recommended: YesIt's home. Mrs.submitted by Annette F. - Nov 03, 2015 |Recommended: YesIt is like living in a resort The whole staff is WONDERFUL, helpful and caring. They have activities like Bible study, game night, carry in's, wine or ice cream socials and celebrations at Thanksgiving and Christmas. Summer time is water aerobics. All ages. response from property - Nov 04, 2015 Thank You for the Great Review, we love having you here. response from property - Nov 04, 2015 Thank you for letting us know, we have replaced the inside of the grill and is working great. Beautiful, quite and very friendlysubmitted by Arrio G. - Jul 03, 2015 |Recommended: YesThis is a fantastic community in Belton, great for all kinds of families. The staff is professional and very friendly and its a worry free environment from maintenance to peace of mind. response from property - Nov 04, 2015 Thank You for your review. It is a great place to live. Quiet, comfortable, secure, with a positive management.submitted by David B. - Dec 19, 2013 |Recommended: YesThis is a property with many older residents (including myself), that walk the grounds while at ease, enjoying bird and squirrel populations and socialize often. Office management is amicable, direct, and react to maintenance problems quickly. Grounds are well kept, during the growing season including tree/shrub trimming. Trash is conveniently picked up 3-times/week. Many residents have occupied their residence for years, leading to close ties with neighbors and a sense of community. Home ownership has always been our way of life. However, both my spouse and I now feel we've come home. response from property - Jan 02, 2014 Thank-You for the wonderful review, we are very proud of our property. Moving to Chappell Oaks has been one of the best choices my family has ever made...blessed!submitted by Anonymous - Aug 27, 2013 |Recommended: YesThe management is superior. location is ideal to all relevant needs, great schools. perfectly maintained property. Apartment living that has a welcoming, home environment. Great neighbors. Excellent amenities. Safety and security were a must and have definitely been exceptional. response from property - Jan 02, 2014 Thank-you so much for your review. I'm in love with my apartment. The location and the apartment itself is out of this world.submitted by Deborah J. - May 23, 2013 |Recommended: YesIt's like living in the woods with the comforts of home. The staff is outstanding and the complex is pristine year round. response from property - Jan 02, 2014 We thank you so much for your review. We also love working for such a beautiful property. Beautiful Property and a great office staff and maintenance.submitted by Tiffany G. - May 01, 2013 |Recommended: YesIt is very nice. Chappell Oaks has great people working in the office. They have nice get togethers for the apartment tenants. The property is very well kept and the pool area is very nice. It is a nice place to live with a family. We are very happy at Chappell Oaks Apartments. response from property - Jan 02, 2014 Thank you for your review, We love all of our residents!! Beautiful and tranquil. Great neighbors and staff.submitted by S. L. - Apr 23, 2013 |Recommended: YesIt is like living in your own beautiful secret garden. response from property - Jan 02, 2014 Thank you for your review. Chappell Oaks is one unique place to live.